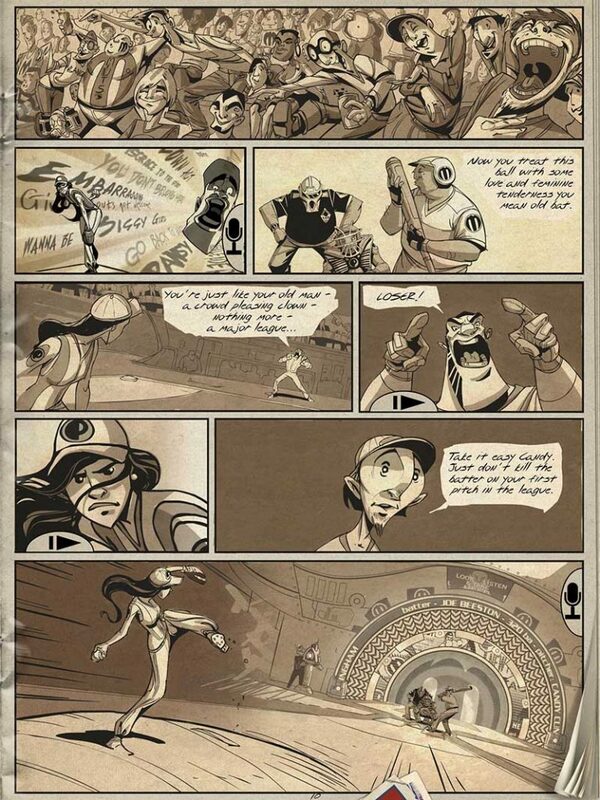 Baseball from the future, empowering female characters and most of all, a pioneering work in interactive comics: Bottom of the Ninth is a classic that you have to check out. Bottom of the Ninth is a beautifully crafted and ambitious animated graphic novel for iPhone and iPad. 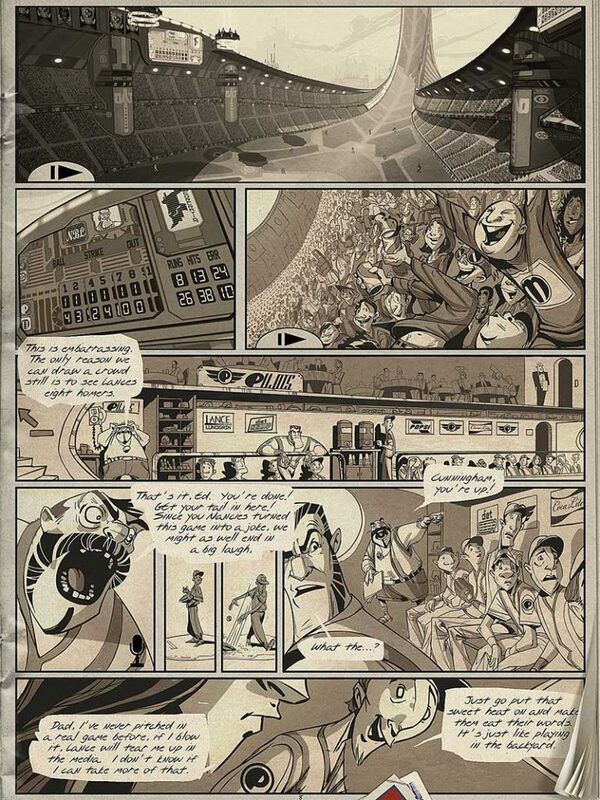 The story takes place in Tao City, in 2172, and deals with a futuristic game called New Baseball – an artificial gravity enhanced version of the ‘traditional’ sport we know today. The main character Candy Cunningham, is a 18 year old pitcher who joins the New Baseball team of Tao city. The story might be set in a very far future, yet some challenges remain the same for a girl, as Candy has to face offended fans and other challenges relating to the fact that she’s the first female to play for the team. The interactive graphic novel features stunning animation, interactivity, an original music score and superb voice acting. One of the voice actors is Dale Murphy, the baseball legend, who plays a retired pro gone announcer. Ryan Woodward has been a professional animator and storyboard artist since 1995. His worked as a storyboard artist on superhero movies such as The Avengers, Iron Man 2, Thor: The Dark World, Spider-Man 2 and 3, and many more. As an animator he worked on many more films, including on Space Jam, The Powerpuff Girls Movie and Tomorrowland. His recent independent productions are aimed at creating new genres of storytelling. Ryan’s short animated film, Thought of You, won several prestigious awards and was rated in the top 10 most popular animations on Vimeo in 2012. Ryan created, designed, wrote, penciled, animated, composed, directed and produced Thought of You.